Running that command with root privileges would force a check-in with Apple’s XProtect feed. If XProtect needed an update, running this command would check the current XProtect blacklist, detect that the online version was newer and pull down the new version. Once the new version had downloaded, XProtectUpdater would then exit. If XProtect was up to date, running this command would check the current XProtect blacklist and detect that the online version was the same as what was currently loaded on the system. XProtect would then produce a notification that it was ignoring the update because the online version was not newer than the one already on the system. XProtectUpdater would then exit. In 10.9.x and continuing on in 10.10.x, Apple moved the XProtect updates into Apple’s software update feed. As part of this change, the previous way of forcing XProtect by running /usr/libexec/XProtectUpdater no longer worked because /usr/libexec/XProtectUpdater did not exist on 10.9.x and higher. Instead, you now need to use the softwareupdate command to force the update process. For more details, see below the jump. One important thing to know about forcing XProtect updates on Mavericks and Yosemite is that the Software Update function on the system in question must be set to automatically check for updates. Based on my testing, if the automatic check for updates is disabled, XProtect will no longer receive updates. This applies even if you run the softwareupdate –background-critical command to force an update to XProtect’s blacklist. 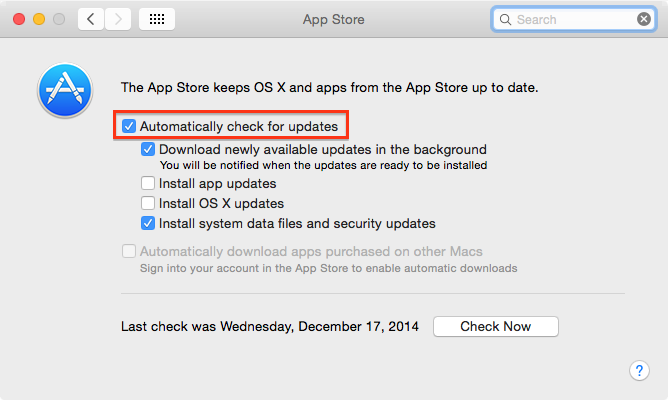 In my experience “Install system data files and security updates” also must be checked in System Preferences -> App Store to get “softwareupdate –background-critical” to work. This is indeed an irritating thing, especially if you don’t want the users to get the reminders that there’s a newer OS available and such. 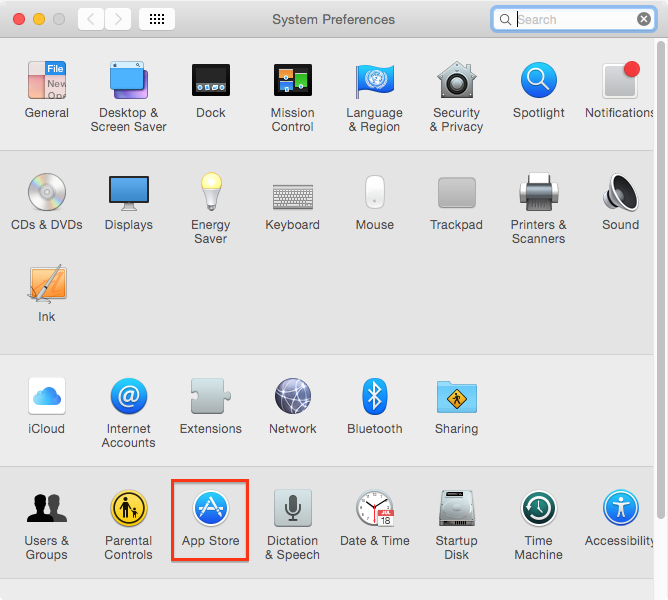 Our users are not admins, and even if they were, we’d prefer they not update to Yosemite. The only method I found is to download XProtect from the sus (kinda cumbersome) and push the updates through Casper. This worked very nicely for the NTP patch. I ran softwareupdate –background-critical in a policy and it only installed the NTP patch ignoring other updates.